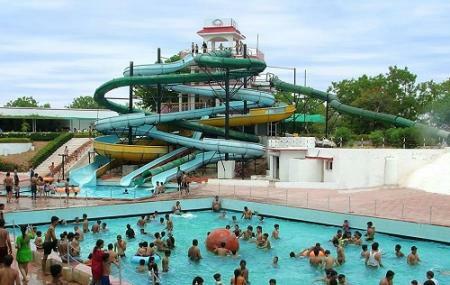 Swapna Srushti Water Park is home for some unique aqua rides and a theme village, located at the Amarapur Village of Gandhinagar, Gujarat. It is a perfect family destination for summer holidays. It is situated at a distance of just 23 km from Gandhinagar and 50 km from Ahmedabad. The seven wonders rides are the highlight of this park. The seven wonders theme comprises of seven different and unique rides which give you an amazing experience altogether. Snowfall ride- It’s a unique ride where you can enjoy snow falling by an artificial mountain. You can enjoy the magic of snow without actually visiting paradises such as Switzerland or Kashmir. Missisipi water ride- This ride is the longest one in the park and starts from the bottom of the park and ends in a cave which is a very thrilling experience. Pendulum- The ride gives justice to it’s name and offers you an experience of being in an pendulum. Wave pool- This ride is the most popular ride in Swapna Srushti. Waterfall- Experience the magic of a dramatic waterfall at this attraction in the park. Thrilling Fog- Get drenched from head to toe in the artificial rain showers at this attraction. Miracle tunnel- A tunnel that takes you to a mysterious and amusing journey. Cyclone Ride- It’s designed in a zigzag way which gives you the feel of a cyclone. Kargil- The Kargil is a long water slide painted in tricolour. Rain dance- Rain dance is a popular attraction amongst the visitors. 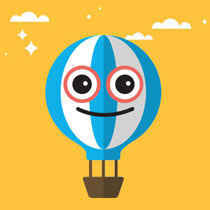 Children’s rides- There are many rides specially curated for children. Children’s playground- It has facilities exclusively for children and even a year old kid can have fun safely. The theme village just adjacent to the rides gives you an unforgettable experience of living the country life. You can play a stay as well at the nearby resort. Have a fun filled outing at the Swapna Srushti Water park in Ahmedabad. Love this? Explore the entire list of things to do in Ahmedabad before you plan your trip. How popular is Swapna Srushti Water Park? People normally club together Amarnath Temple and Dada Bhagwan Temple while planning their visit to Swapna Srushti Water Park. Good place to spend whole day with whoever you want. Arrangements are great. But it's difficult to get information from beforehand by phone or website. Network issues are there. Also the instructions are mostly in Gujarati, which makes things difficult. You have to be present there for the entire day to enjoy all rides properly. Good place to spend whole day with whoever you want. You have to be present there for the entire day to enjoy all rides properly.Swapna srushti water park is 1day picnic spot, you can spend 5-7 hour maximum, food court inside the waterpark..... washroom available, lockers and swimming costume available on rent. ...ATM MACHINE or CASHLESS TRANSACTION is NOT available here so please bring cash to enjoy here without facing any issue related to money. Per person approx. ₹700-800. Including entry,locker, costume The resort is unexpectedly huge. It’s an awesome place. I have been here once in my life. But the aura is amazing. It may now have changed for better. Had an amazing day there with my school picnic. It's good for a family get together with limited rides & wave pool.. good arrangements for wedding.. food quality is okay but should be better. It is a very good place to visit in. We can play all the rides. The wave pool is excellent. The rides there are very enjoyable. I will prefer to go there for everyone. You all must visit it. It is OK place for fun time! It's very far from city area. The road to enjoy city is very dusty. Locker facilities are available at 100+200 deposit. Locker is enough for 2 backpack and 2 shoe pair. *Recently they added new rides. .
Nice place. Every single ride we enjoyed. Every ride is in working condition . Here , the food stuff was not so good as we aspected. Worth of money. Ticket price is 500 Rs but you will not feel that you have wasted your time and money. Nicely maintained water park with lots of rides. All rides are in good condition. Recommended. It was fun in swapna srushti. Enjoyed lot in all rides. Good place for kids and adults. Entry ticket is 500 INR / person and children ticket is also same. Food charge is 170 for one person. Rides were maintain good. IF WE HAVE SWIMMING COSTUME, YOU ARE ALLOWED TO WEAR IT?